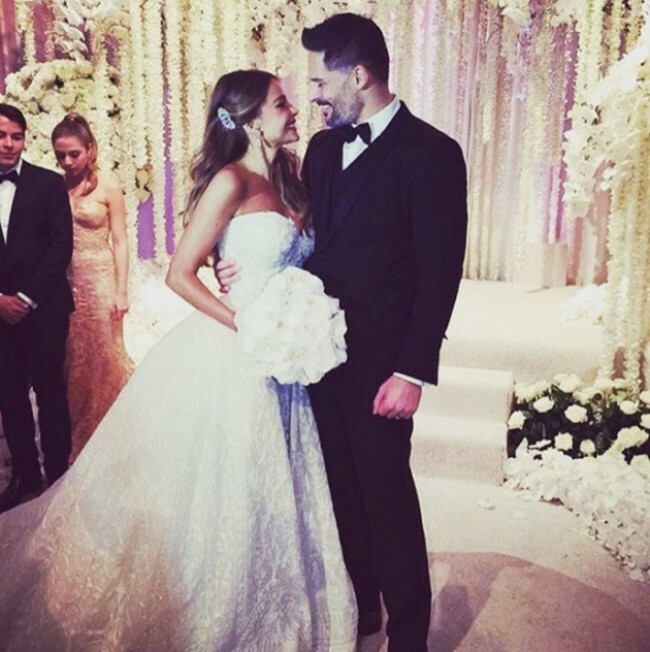 Actors Sofia Vergara and Joe Manganiello tied the knot yesterday in Palm Beach, Florida, with their $4 million wedding. Sofia wore a custom Zuhair Murad wedding dress while Joe wore a John Varvatos tuxedo. Sofia’s gown was a strapless dress made of silk tulle and embellished with pearls as well as sequins and crystals. If the sparkling dress was not enough, Sofia paired the look with jewelry from Lorraine Schwartz. 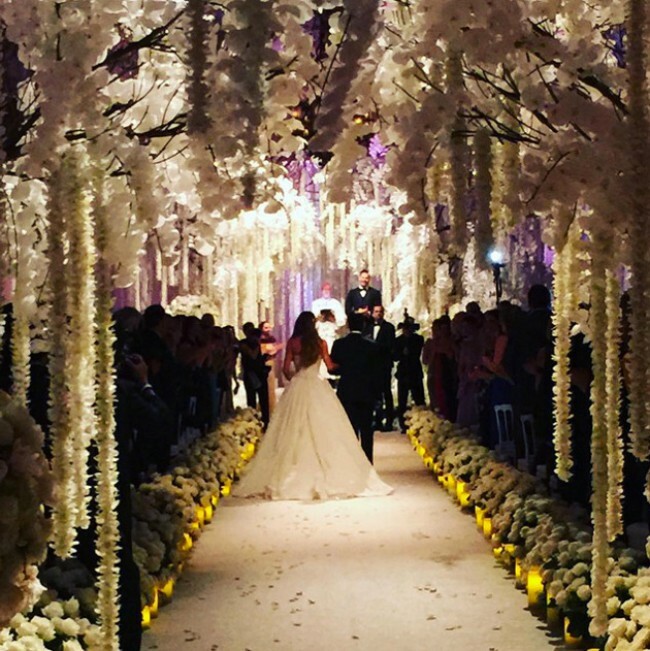 Discover images from the lavish wedding ceremony below.